Planning a trip to Big Sky, Montana? 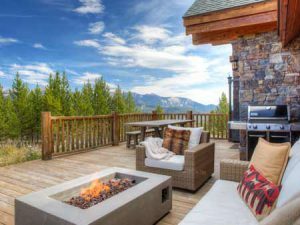 Whether you're coming for the winter, spring, summer, or fall you can find an endless selection of Big Sky vacation rentals to fulfill all of your needs - as long as you know where to look! 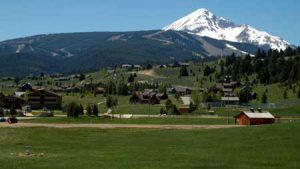 Like any mountain town, there are numerous property management companies focused on Big Sky vacation rentals. These high quality businesses have access to the best condos, homes, and cabins on the market and they actively want to rent them to you. Planning A Trip To Big Sky? Whether you're looking for a private home that can sleep an army, a scenic cabin on the Gallatin, a ski-in/ski-out townhouse that's easy access to the closest lifts, a crash pad near the nightlife in the Mountain Village, a luxury mansion boasting mind-blowing views, or a quaint spot for a romantic getaway, you can find it in Big Sky, Montana. The perfect Big Sky vacation rentals are just a few clicks away. Most of these businesses are owned and operated by locals. They know Big Sky like the back of their hand. This means that they can personalize the vacation experience for your wants and needs. Not only will they handpick the perfect Big Sky vacation rentals for you, they can also recommend the best restaurants, help you find high end ski rentals, or tell you about their favorite fishing hole. One piece of advice for planning the vacation of lifetime in Big Sky: Plan Ahead! 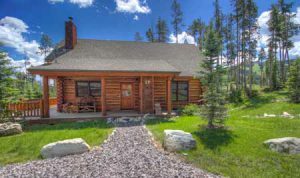 Big Sky is a popular place and some of the best Big Sky vacation rentals get booked months or even years in advance. It sounds crazy, but it's true. If you're coming during the busy times, you absolutely must book your Big Sky vacation rentals far in advance. Book now to ensure that you can find the perfect property for your vacation. Also be sure to check out all of the links listed above to ensure that you explore all of your Big Sky vacation rentals options. Once you're booked in, all you have to is show up, disconnect, and enjoy our little mountain town. See you soon!